It might have been a day for the ducks, but that didn’t stop us braving the elements in the name of newts! After a great and informative morning session lead by Mark Pollitt from the Dumfries and Galloway Environmental Resources Center (DGERC), we adorned our waterproofs and headed out on Ardeer Local Nature Reserve. 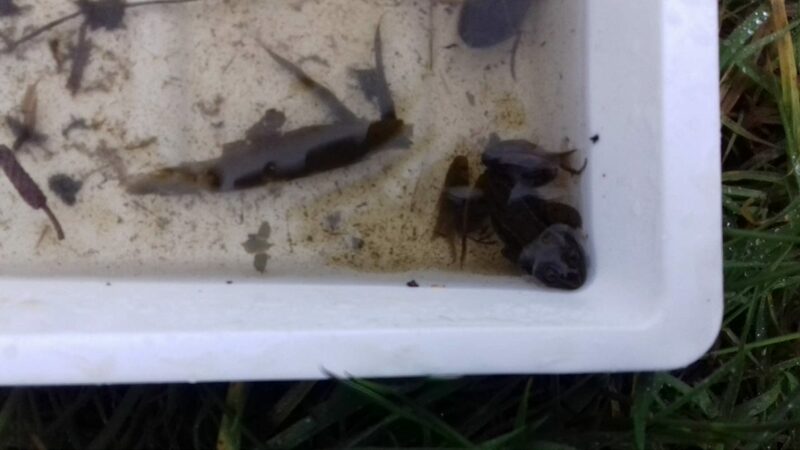 Despite the weather, we had a great show of amphibians, first with some frog spawn in a ditch by the side of the track, then by chance, finding both a Common Frog and a Common Toad, thanks to Jess from Dean Castle Country Park who almost stood on the frog! 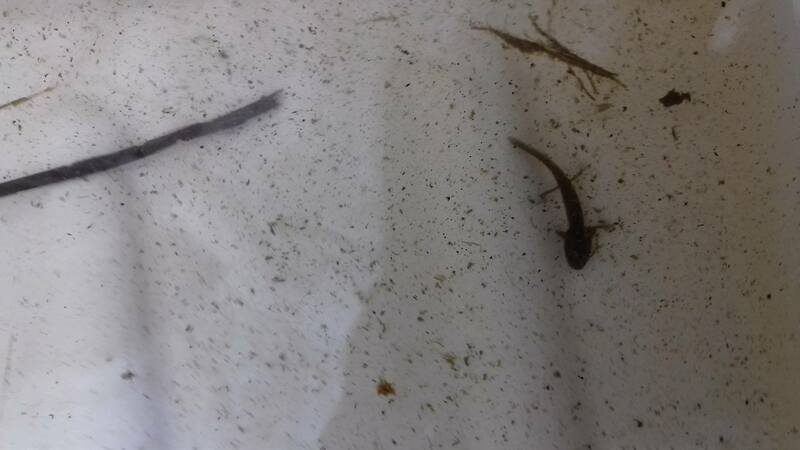 After some pond dipping we were lucky enough to find a newt larva which had overwintered in the pond, ready to develop this spring. A great and fun day had by all, before heading back to get dry, and warm up with some tea and cake!